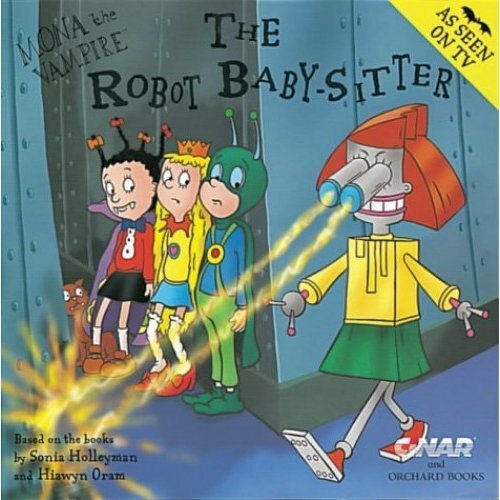 The Robot Baby-Sitter is a brand new picture book featuring animation artwork from the fantastic Mona the Vampire cartoon series by CINAR Productions. CINAR's interpretation of Mona keeps her quirky, energetic and imaginative character intact. The Mona the Vampire cartoons bring Sonia and Hiawyn's characters bounding onto the TV in all their glory. When her parents decide to go out for a romantic dinner, Mona ends up at home with Angela's baby-sitter. 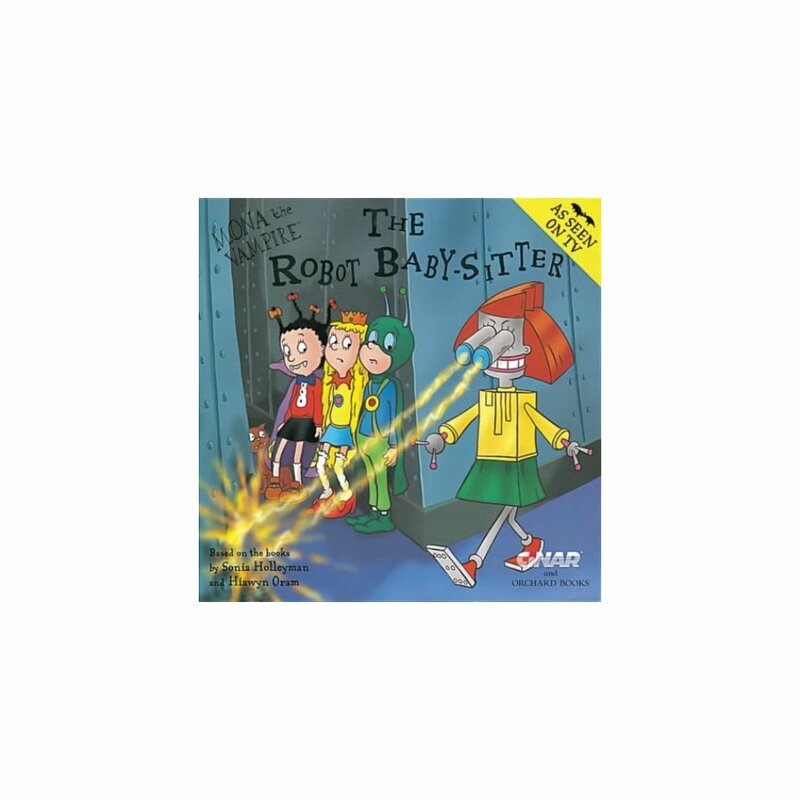 Mona suspects that Angela has turned the baby-sitter into a robot and has to find a way to override the radio waves that are controlling the baby-sitter's every move. Mona the Vampire was screened in the UK on Nickelodeon in Autumn 1999 and BBC 1 in Spring 2000.